Planning for college expenses. In some cases, transferring ownership of assets to children can save taxes. You and your spouse can transfer up to $26,000 in 2011 in cash or assets to each child with no gift tax consequences. And for 2011, if your child isn’t subject to the “kiddie tax,” he or she is taxed on income from assets entirely at his or her lower tax rates-as low as 10% (or 0% for long-term capital gain). However, where the kiddie tax applies, the child’s investment (i.e., unearned) income above $1,900 for 2011 is taxed at your tax rates and not the child’s rates. The kiddie tax applies if: (1) the child hasn’t reached age 18 before the close of the tax year or (2) the child’s earned income doesn’t exceed one-half of his or her support and the child is age 18 or is a full-time student age 19-23. Tax-exempt bonds. Another way to achieve economic growth while avoiding tax is simply to invest in tax-exempt bonds or bond funds. Interest rates and degree of risk vary on these, so care must be taken in selecting your particular investment. Some tax-exempts are sold at a deep discount from face and don’t carry interest coupons. Many are marketed as college savings bonds. A small investment in these so-called zero coupon bonds can grow into a fairly sizable fund by the time your child reaches college age. “Stripped” municipal bonds (munis) provide similar advantages. Series EE U.S. savings bonds. Series EE U.S. savings bonds offer two tax-savings opportunities when used to finance your child’s college expenses: first, you don’t have to report the interest on the bonds for federal tax purposes until the bonds are actually cashed in; and second, interest on “qualified” Series EE (and Series I) bonds may be exempt from federal tax if the bond proceeds are used for qualified college expenses. To qualify for the tax exemption for college use, you must purchase the bonds in your own name (not the child’s) or jointly with your spouse. The proceeds must be used for tuition, fees, etc. (not room and board). If only part of the proceeds are used for qualified expenses, then only that part of the interest is exempt. If your adjusted gross income (AGI) exceeds certain amounts, the exemption is phased out. For bonds cashed in during 2011, the exemption begins to phase out when joint AGI hits $106,650 for joint return filers ($71,100 for singles) and is completely phased out if your AGI is at $136,650 ($86,100 for singles). Qualified tuition programs. A qualified tuition program (also known as a 529 plan) allows you to buy tuition credits for a child or make contributions to an account set up to meet a child’s future higher education expenses. Qualified tuition programs can be established by state governments or by private education institutions. Contributions to these programs aren’t deductible. The contributions are treated as taxable gifts to the child, but they are eligible for the annual gift tax exclusion ($13,000 for 2011). A donor who contributes more than the annual exclusion limit for the year can elect to treat the gifts as if they were spread out over a 5-year period. The earnings on the contributions accumulate tax-free until the college costs are paid from the funds. Distributions from qualified tuition programs are tax-free to the extent the funds are used to pay qualified higher education expenses. Distributions of earnings that aren’t used for qualified higher education expenses will be subject to income tax plus a 10% penalty tax. Paying college expenses. You may be able to take a credit for some of your child’s tuition expenses. There are also tax-advantaged ways of getting your child’s college expenses paid by others. Tuition tax credits. You can take an American Opportunity tax credit of up to $2,500 per student for the first four years of college (a 100% credit for the first $2,000 in tuition, fees, and books, and a 25% credit for the second $2,000). You can take a Lifetime Learning credit of up to $2,000 per family for every additional year of college or graduate school (a 20% credit for up to $10,000 in tuition and fees). The American Opportunity tax credit is 40% refundable, which means that you can get a refund if the amount of the credit is greater than your tax liability. For example, someone who has at least $4,000 in qualified expenses and who would thus qualify for the maximum credit of $2,500, but who has no tax liability to offset that credit against, would qualify for a $1,000 (40% of $2,500) refund from the government. Only one credit can be claimed for the same student in any given year. However, a taxpayer is allowed to claim an American Opportunity tax credit or a Lifetime Learning credit for a tax year and to exclude from gross income amounts distributed (both the principal and the earnings portions) from a Coverdell education savings account for the same student, as long as the distribution isn’t used for the same educational expenses for which a credit was claimed. Scholarships. 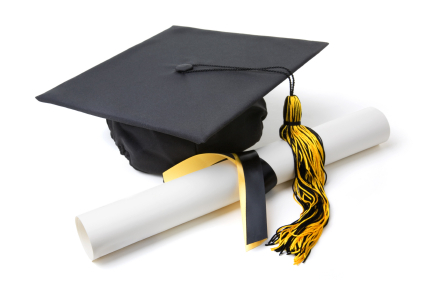 Scholarships are exempt from income tax, if certain conditions are satisfied. The most important are that the scholarship must not be compensation for services, and it must be used for tuition, fees, books, supplies and similar items (and not for room and board). Although a scholarship is tax-free, it will reduce the amount of expenses that may be taken into account in computing the Hope and Lifetime Learning credits, above, and may therefore reduce or eliminate those credits. Note also that in an exception to the rule that a scholarship must not be compensation for services, a scholarship received under a health professions scholarship program may be tax-free even if the recipient is required to provide medical services as a condition for the award. Employer educational assistance programs. If your employer pays your child’s college expenses, the payment is a fringe benefit to you, and is taxable to you as compensation, unless the payment is part of a scholarship program that’s “outside of the pattern of employment.” Then the payment will be treated as a scholarship (if the other requirements for scholarships are satisfied). Tuition reduction plans for employees of educational institutions. Tax-exempt educational institutions sometimes provide tuition reductions for their employees’ children who attend that educational institution, or cash tuition payments for children who attend other educational institutions. If certain requirements are satisfied, these tuition reductions are exempt from income tax. College expense payments by grandparents and others. If someone other than you pays your child’s college expenses, the person making the payments is generally subject to the gift tax, to the extent the payments and other gifts to the child by that person exceed the regular annual (per donee) gift tax exclusion of $13,000 for 2011. Married donors who consent to split gifts may exclude gifts of up to $26,000 for 2011. However, if the other person pays your child’s school tuition directly to an educational institution, there’s an unlimited exclusion from the gift tax for the payment. The relationship between the person paying the tuition and the person on whose behalf the payments are made is irrelevant, but the payer would typically be a grandparent. The unlimited gift tax exclusion applies only to direct tuition costs. There’s no exclusion (beyond the normal annual exclusion) for dormitory fees, board, books, supplies, etc. Prepaid tuition payments may qualify for the unlimited gift tax exclusion under certain circumstances. Student loans. You can deduct interest on loans used to pay for your child’s education at a post-secondary school, including some vocational and graduate schools. (This is an exception to the general rule that interest on student loans is personal interest and, therefore, not deductible.) The deduction is an above-the-line deduction (meaning that it’s available even to taxpayers who don’t itemize). The maximum deduction is $2,500. However, for 2011, the deduction phases out for taxpayers who are married filing jointly with AGI between $120,000 and $150,000 (between $60,000 and $75,000 for single filers). Some student loans contain a provision that all or part of the loan will be cancelled if the student works for a certain period of time in certain professions for any of a broad class of employers-e.g., as a doctor for a public hospital in a rural area. The student won’t have to report any income if the loan is canceled and he performs the required services. There’s also no income to report if student loans are repaid or forgiven under certain federal or state programs for health care professionals. These are exceptions to the general rule that if a loan or other debt you owe is canceled, you must report the cancellation as income. Bank loans. The interest on loans used to pay educational expenses is personal interest which is generally not deductible (unless you qualify for the deduction for education loan interest, described above). However, if the loan is “home equity indebtedness,” and interest on the loan is “qualified residence interest,” the interest is deductible for regular income tax purposes, although not for alternative minimum tax purposes. If interest is deductible as qualified residence interest, it can’t be deducted as education loan interest. Borrowing against retirement plan accounts. Many company retirement plans permit participants to borrow cash. This option may be an attractive alternative to a bank loan, especially if your other debt burden is high. However, the loan must carry an interest rate equal to the prevailing commercial rate for similar loans, and, unless you qualify for the deduction for education loan interest (described above), there’s no deduction for the personal interest paid. Moreover, unless strict requirements are satisfied, a loan against a retirement account is treated as a premature distribution (withdrawal) that’s subject to regular income tax and an additional penalty tax. Withdrawals from retirement plan accounts. IRAs and qualified retirement plans represent the largest cash resource of many taxpayers. You can pull money out of your IRA (including a Roth IRA) at any time to pay college costs without incurring the 10% early withdrawal penalty that usually applies to withdrawals from an IRA before age 591/2 . However, the distributions are subject to tax under the usual rules for IRA distributions. A younger plan participant may avoid triggering the penalty tax by annuitization payouts from an IRA or a SEP. This method doesn’t work for 401(k) type plans. The strategy works because the penalty tax doesn’t apply if annual or more frequent withdrawals are made in substantially equal payments over the life or life expectancy of the taxpayer (or the joint lives or joint life expectancies of the taxpayer and designated beneficiary).